Designed with four to eleven year olds in mind, the products in this range are scaled down versions of our standard size products. 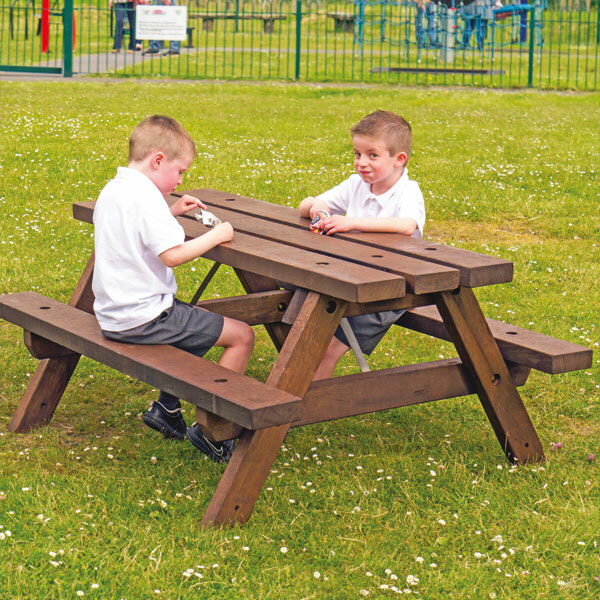 Being smaller, these items are very good value, so will be attractive to primary schools who often have restricted funds for playground furniture. 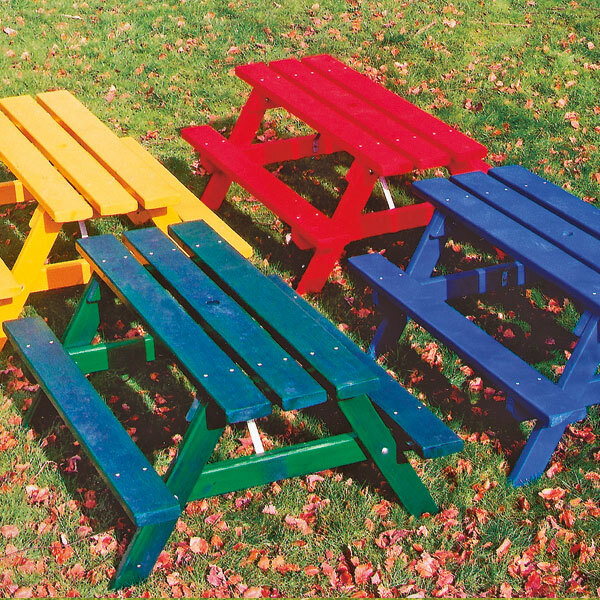 Several options are available in bright colours, which will appeal to young children. The seats and benches either have, or can be, specified with extended legs for concreting in, which enables the installed height to be varied to suit a particular age group, if required. Constructed from planed treated softwood, this unit is particularly cost effective. Despite its low price, it is strongly constructed and attractive.